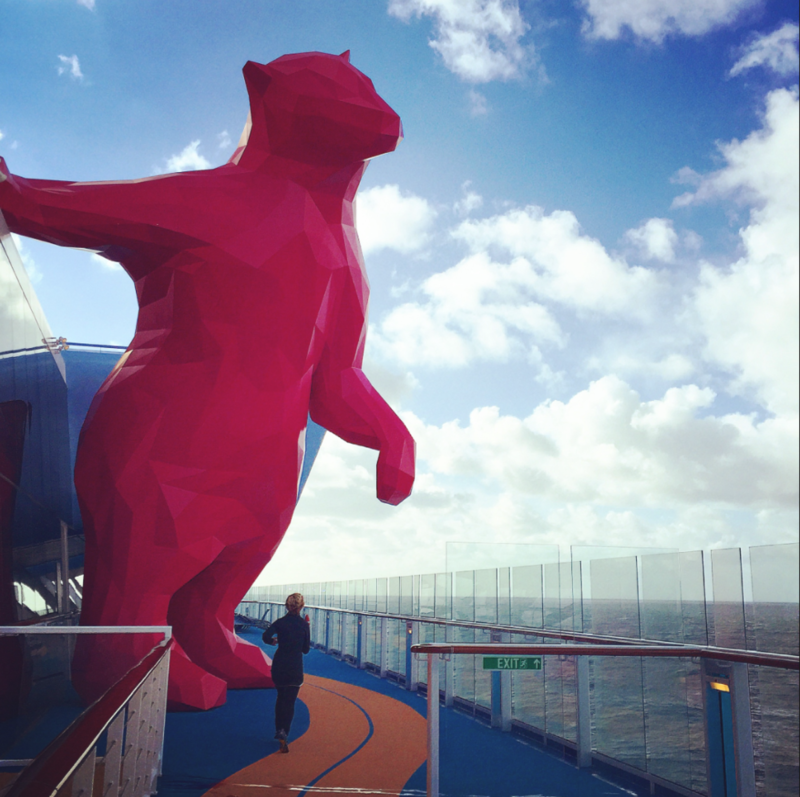 Quantum of the Seas, Royal Caribbean's latest ship - dubbed the 'smart ship' has a rather interesting art piece on deck 15. 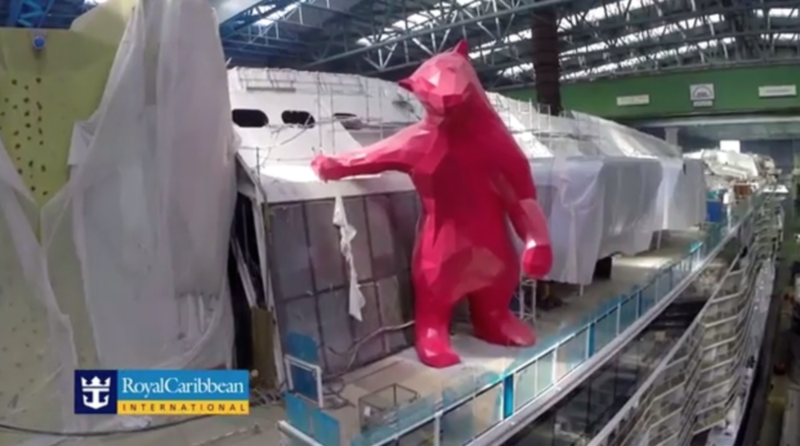 Next to the climbing wall and the running track, a giant pink polar bear can be spotted, holding onto the ship. 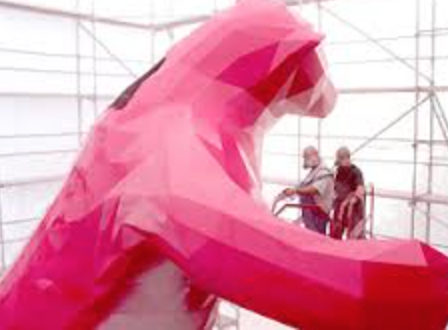 World renowned artist Lawrence Argent is the man behind the giant piece, but this isn't his first geometrically shaped, giant animal. 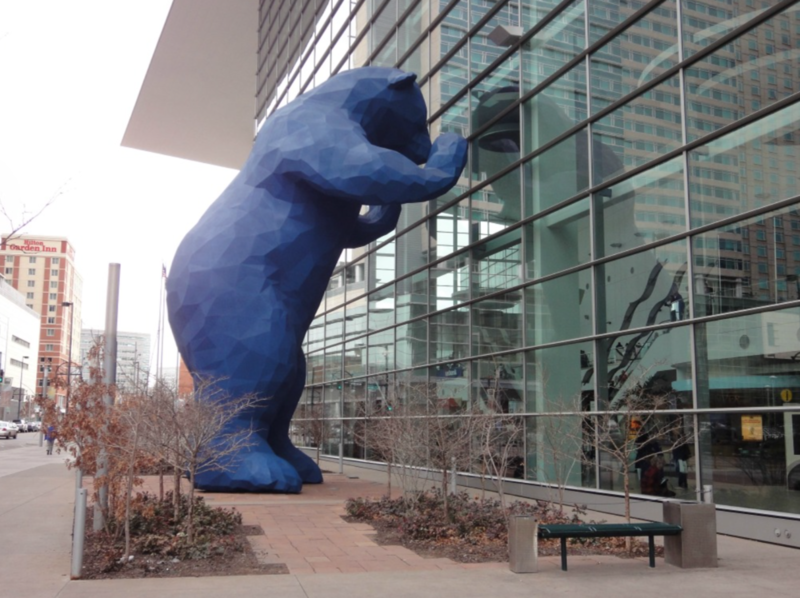 For the Colorado convention centre he created a blue bear, who looks as if it is peering through the window and in southwest China a giant panda who is climing a building. His pieces convey a heightened sense of scale with clean modular forms that look modern and very impressive. 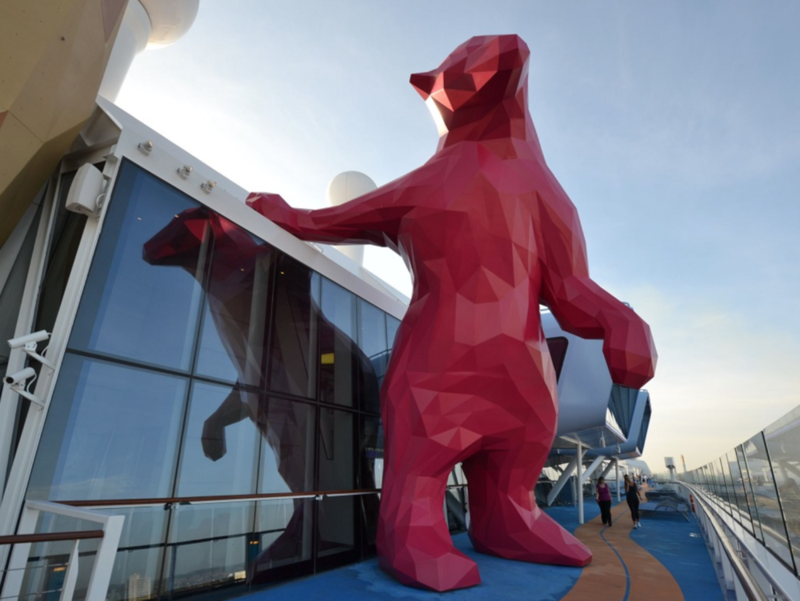 The bear titled "From Afar" is comprised of 1,340 stainless steel triangles, weighs approximately eight-tons and is intended to incite wonder among guests, encouraging them to admire the bear from afar, as well as interact with it on a more intimate, yet whimsical level. Made in sections it was crane lifted onto the top of the ship and bolted to the vessel. "It is quite exciting to be collaborating with Royal Caribbean on a very visible and significant piece of art that will allow my work to be exposed to thousands of people each week," said Argent. "The thing about cruise vacations is that they transport individuals from the normality of their everyday lives and leave them open to new experiences. The bear engages those that have a fear of thinking they don't know what art is and turns it into an approachable entity." Discover more about the piece in this short video.